This entry was posted in LCS, MCM, Mine Counter Measures, Missions by Chuck Hill. Bookmark the permalink. MCM MM equipment is not a single entity, Navy speak system of systems, and with no associated Common Equipment MM needed to control the USV, no spares budgeted so very much doubt if any vessels of opportunity, VOO, will be able to use MCM MM in future unless Navy budgets for additional CE MM’s, Navy also saying the 9 VOO sets may be used as spares for the 14 LCS MCM ships, including the two LCS test ships. Complete integration and IOT&E on Independence and then Freedom class planned for FY21/22. Barracuda – neutralizes near surface mines, EMD FY18, IOC FY24. 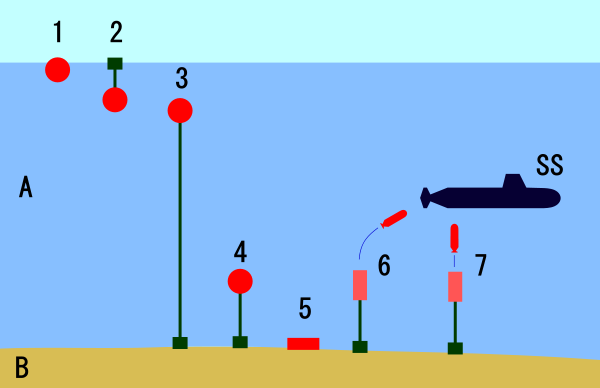 AMNS, AN/ASQ-235 Airborne Mine Neutralization System, two per set also called the Airborne Mine Neutralization module, AMN, identify mines in sea and then neutralize in volume or on bottom (Barracuda neutralizes near surface mines), IOC Nov. 2016. CMR, Coastal Mine Reconnaissance Module, for amphibious support IOC planned for 4th qtr FY18, COBRA 1 & 2, Costal Battlefield Reconnaissance and Analysis, beach 1, IOC July 2017, surf zone 2, Block II FY27.